For those breezy evenings or sweltering afternoons when you need a little spritz to survive, try one of these garden-fresh ciders! Each one pairs the complex sweetness and telltale tannin of quality cider with herbs, flowers and botanicals to achieve a new level of summery deliciousness. Experience the bounty of an abundant garden, right in your glass! Dandelion syrup, spring burdock, chamomile flowers, lemon balm leaves and organic honey meet apples in this light, crisp cider. True care is taken in the cultivation of this flavor profile, as the Finnriver team takes burdock and dandelion roots, dries and roasts them in the farm’s wood-fired oven, then boils them, creating a house-made sugar syrup. The syrups, honey, lemon balm and chamomile are added at blending. After an overnight infusion, the cider is filtered into brite tanks for carbonation. Recommended food pairings include coconut curry, lemon braised halibut, spring salads, goat cheese on toasted bread and other “sassy spring dishes,” according to Finnriver’s website. Yes, some people will balk at the idea of tampering with the purity of the apple. But, if you’re more in the mood to have some fun than to take everything super seriously, try this herbaceous cider from Seattle Cider Co., fermented with fresh basil and mint. Heck, why not add some muddled pineapple to the mix to turn the flavor up to 11? This 6.9% ABV cider is made with Smith, Fuji, Red Delicious, Golden Delicious and Gala apples. It starts savory and floral, and then finishes tart and clean. We’re used to seeing shiso leaves as garnishes in craft cocktails or in dishes at fancy sushi restaurants, but this is honestly the first time we’ve come across it in a cider! 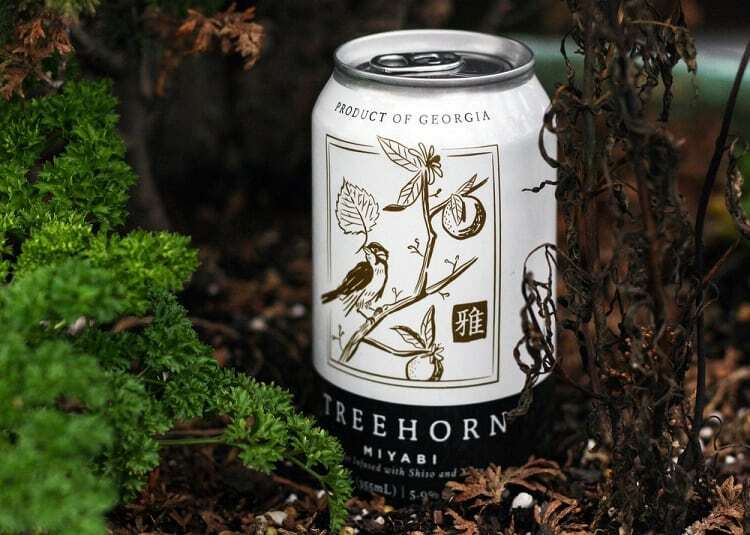 This aromatic leaf, which is a member of the mint family, is blended with yuzu (a sweet tart citrus fruit) in this creative offering from Treehorn Cider. 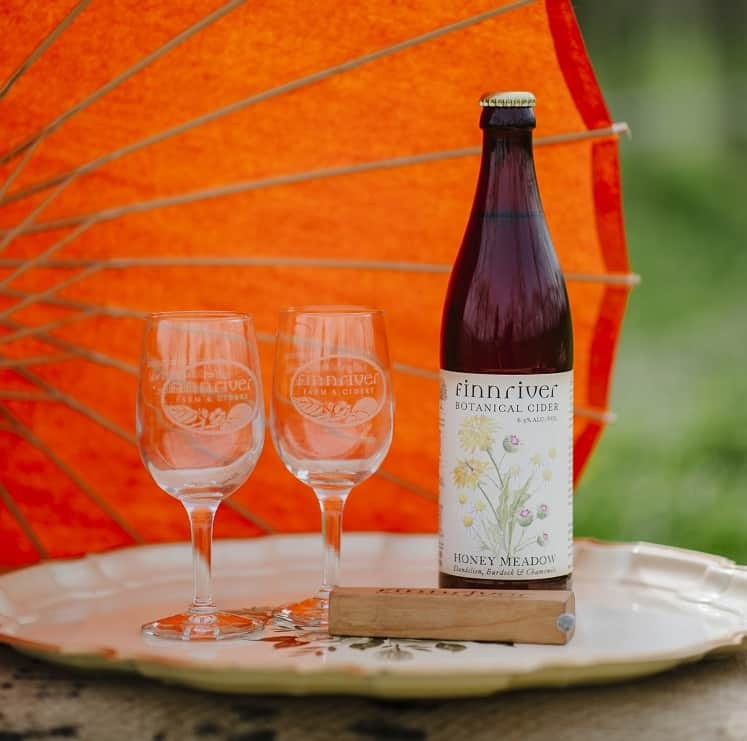 Miyabi, according to Treehorn, is “a refreshing and delicate cider that honors that tradition, but creates something very new.” The flavor profile is listed as tart citrus, aromatic herbs, and bright apple, and this all sounds like a most elegant take on citrus cider! There’s often a risk with floral-infused food and drink, that the result will be more “scented candle” than “thing I want to actually consume.” Awestruck Ciders finds the right balance to the recognizable perfume of lavender in its Lavender Hops cider by pairing it with, you guessed it: hops. The subtle bitterness of the hops plays just right with the sweet flowers, for a unique and lovely flavor. As contributor Meredith Collins noted in another round-up where this cider was included, Lavender Hops pairs really well with summery foods, like warm lentil and goat cheese salad. Rosemary, lavender, honey and tart apples blend beautifully in this spring-y cider from Colorado Cider Co. Like so many of this brand’s ciders, Pome Mel is all about local pride: the juice comes from Colorado-grown Granny Smith apples, over 300 pounds of local honey are used in each batch, and even the label features an image of Western Slope apple blossoms. Look for this in 22-ounce bottles and in kegs. Ever since discovering St. Germain, the liqueur made from star-shaped elderflowers, we’ve been enamored with the warm, subtle flavor of this mountain-grown botanical. Colorado Common‘s Ginger & Mountain Elderflower flavor combines organic elderflower with the zesty, spicy notes of ginger root in this crisp, semi-dry concoction. This one seems like the perfect choice for a romantic picnic under a blossom tree! If you live in or near Pittsburgh, we can’t imagine a reason not to swing by Arsenal Cider House for some boozy rhubarb sorbet. Rhubarb’s only around for a brief window in the late spring/early summer, so get it while the getting’s good!